Idaho State University is in Pocatello, Idaho. Police in Pocatello are investigating how an Idaho State University professor accidentally shot himself in the foot during class. The Idaho State Journal reports the chemistry professor's gun discharged in his pocket. The injury was non-life threatening and no one else was harmed. But critics of guns-on-campus laws are pointing to the incident is a cautionary tale. 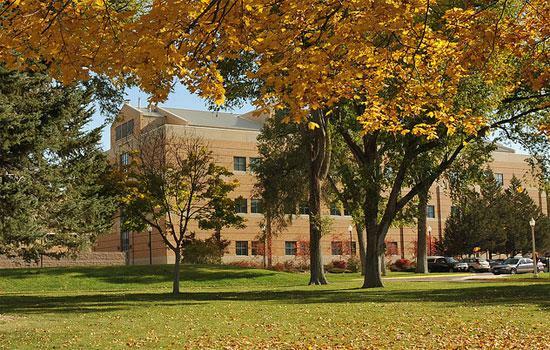 The accidental shooting occurred during a Tuesday afternoon chemistry class at Idaho State. The professor reportedly had the small caliber, semi-automatic handgun in his pocket when it went off. One student told police there were about 20 students in the lab at the time. The professor did have an Enhanced Concealed Weapons Permit. That allows people to bring guns onto public college and university campuses under a new state law that took effect this summer. Idaho is among seven states with laws that allow firearms on university and college campuses. The measure received strong opposition during the 2014 legislative session from Idaho’s police chiefs and the presidents of public colleges and universities, including Idaho State’s. In a written statement, the president of the school said it is “in compliance with the Idaho gun law” and called the shooting an unfortunate accident. An Idaho State University instructor received a foot wound after his concealed handgun discharged on campus. Pocatello police say officers responded to a report of a shot fired on campus at about 4 p.m. Tuesday and found the instructor in the Physical Science Complex with a non-life threatening injury. Lt. Paul Manning says the instructor was treated and released at Portneuf Medical Center. Police say the instructor has an enhanced concealed carry permit that's needed to carry a concealed weapon on a college campus. Boise State University President Bob Kustra says he’s against proposed legislation that would allow guns on Idaho college and university campuses, because it addresses a problem that doesn’t exist. Kustra is one of the eight Idaho academic presidents who came out this month in opposition to a proposal that would allow guns to be legally carried on campuses. The State Board of Education also opposes the legislation. Boise State University has released its preliminary plans for implementing the state’s new guns-on-campus law. It and other state colleges and universities have until July 1 before the law goes into effect. The update from the university came in the form of an email Thursday from university president Bob Kustra. He says the school is in the process of revising policies and procedures and that administrators have already made several decisions.